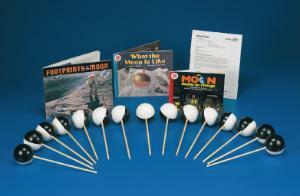 Phase in your Earth, Moon, and Sun unit with a little light reading and a hands-on activity. 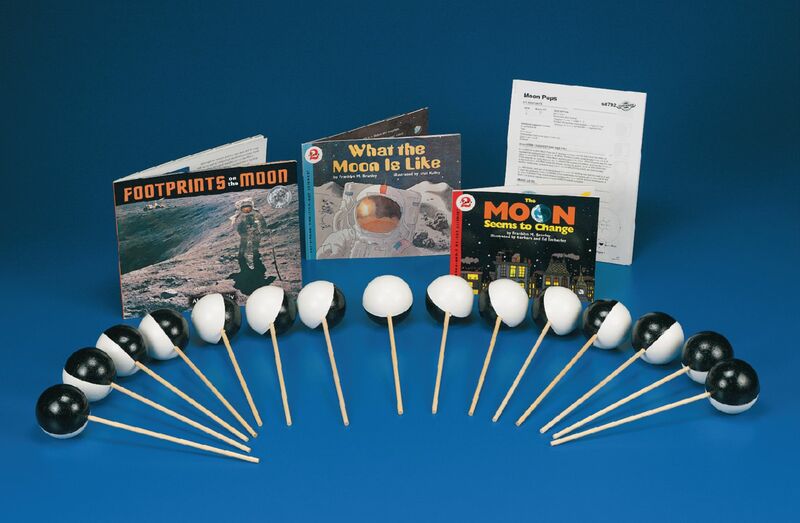 Using teacher Debra West's Moon Pops, students model the relationships between these three celestial bodies as they explore the Moon's changing face. The easy reading level of The Moon Seems to Change lends nonfiction support to the hands-on activity in a friendly picture book format. What the Moon is Like provides information about moon exploration and the moon itself. Footprints on the Moon challenges your more advanced readers as they access more in-depth information about the history of and technology behind space exploration. Additional reading books sold separately.